Before getting into the review proper, it should be pointed out that discussing plot details of this movie will act as a spoiler for some elements of the end of the Naruto Shippuden series- to which this is is a sequel. If you've somehow managed to stay unspoiled up until this point, and are watching the Naruto releases on DVD at the UK release pace... you have been warned. The movie spin-offs of long running shonen series have never had the best reputation, traditionally. They were usually little more than filler, produced on the cheap and knocked out about the rate of one of a year at the height of the franchise's popularity. Recently this has began to change, as the movies based on Franchises such as Dragon Ball Z, One Piece and Naruto have produced movie spin-offs that the original creators are more directly involved in. 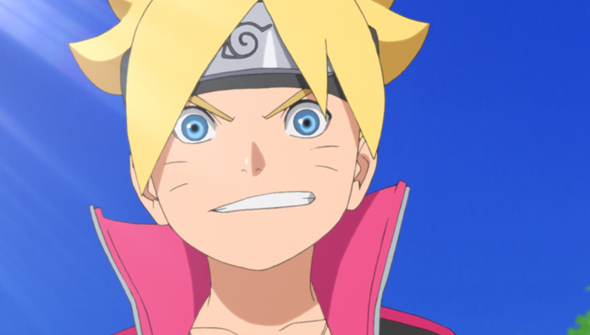 The latest Naruto outing, Boruto: Naruto The Movie continues this with original creator Masashi Kishimoto responsible for story and character designs. Perhaps unsurprisingly, this new approach has produced much higher quality results and this is no exception. This movie takes place some time after the end of the Naruto Shippuden series and the previous movie. 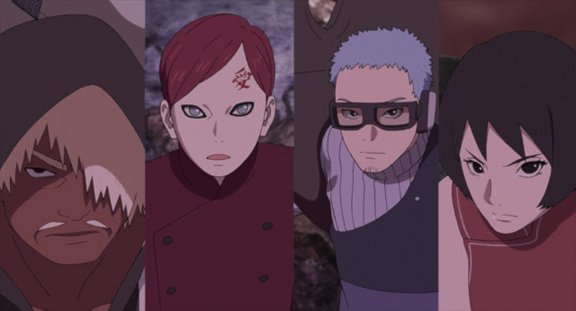 As the title suggests, the story revolves around the next generation of ninjas, with Boruto Uzamaki (son of Naruto, who is now the Seventh Hokage) taking centre stage. The film lays down its stall straight away, opening with a fight in a mysterious snowy location. We then switch gears and move to the Hidden Leaf Village, which has moved on a lot since we last visited. The young cast of the original are now adults with families of their own. Not only that, but we see that time has passed in that the society has become more technologically advanced, and now have televisions, airships, and computers. Later in the series Shippuden became quite dark, with a dramatic tone and serious world-threatening plots. Boruto feels like a fresh start, with a much lighter approach that is like a return to the very earliest part of the original Naruto series. 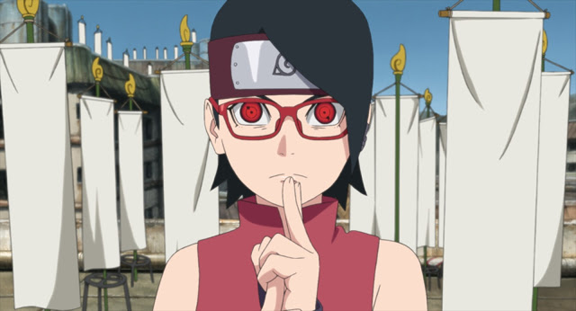 For around the first hour or so, with Boruto and his friends trying to pass the Chunin exams it just feels like an extended episode of a new series. Only later on does a higher-stakes plot kick in. Even then it feels more personal and less like "the whole ninja world is in peril...again" storylines of elsewhere in the franchise. The villains here are completely forgettable, but that's because this really isn't about them. What this film is really concerned with is family, relationships and growing up and the bad guys are only here as a device to help push the plot forward and aid character development. The characters have always been a strength of the series and it continues to be the case here. Fans will get a kick out of seeing how their favourite characters have grown. Both visually and in personality terms, they really feel convincingly like the same characters as grown-ups. The new generation also fit perfectly into the same world, without just feeling like miniature clones of the original cast. It's because this is all so effective that you really get drawn into the film. Yes, of course, the action is brilliantly staged, but the film's greatest triumph is how emotionally satisfying it is. The film's fresh feel is reflected in the visuals, with a bright, colourful look and excellent character designs. The animation quality itself is nothing spectacular, a notch or two above standard TV quality, but it more than does the job. This potentially could have been the franchise's last hurrah and this would have been a beautiful way to go out. As it happens though, Boruto's adventures continued in a new TV anime, so this instead served as a perfect introduction to the new generation. What so could easily have been a hollow cash-in instead becomes one of Naruto's finest hours. Excellent stuff.